This shofar bag is made from navy blue velvet and is specially shaped and cut to accommodate a shofar, the ram’s horn. The bag has a zipper along the top of the bag, and a rope attached making it easy to open, carry, store, and protect your shofar. 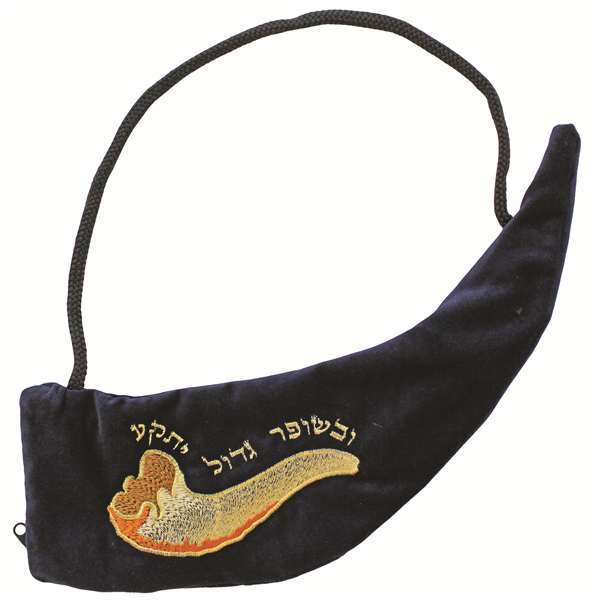 The shofar bag is decorated with an embroidered picture of a shofar, and the Hebrew words, "Ubashofar Gadol Yituka”, which is the Hebrew words referring to the blowing of the shofar on Rosh Hashanah.